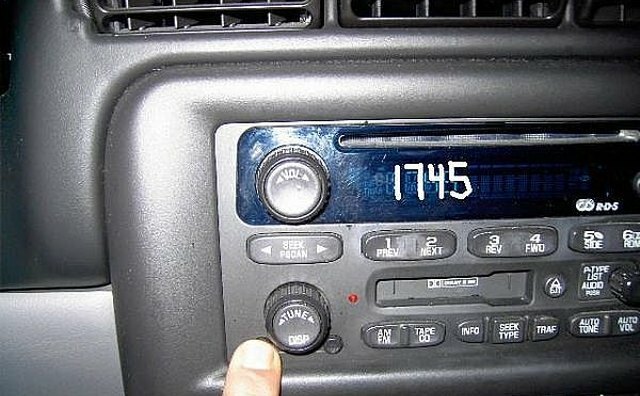 Does your GM car or truck Radio display LOC and does not turn on? Chevrolet, Buick, Pontiac, GMC, Cadillac, Oldsmobile vehicles used a theft system to lock the radio when power is lost. This system was used from the ealy 1990's to the early 2000's. 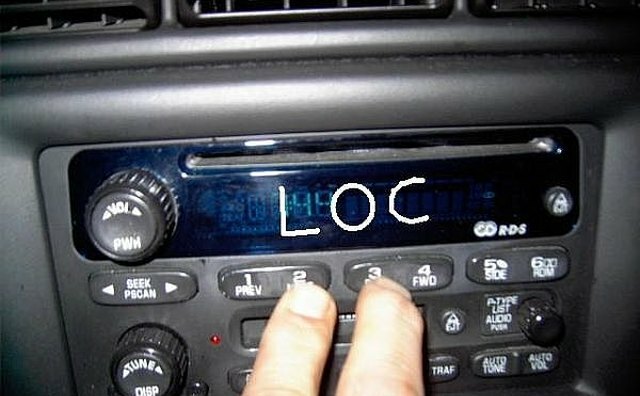 If your radio displays the word LOC, you can retrieve a set of factory numbers in the radio that enable you to get a backup unlock code. If the radio says INOP, you will have to leave the key in the "ON" position, or let the car run for at least 1 hour before you attempt any unlock procedure. 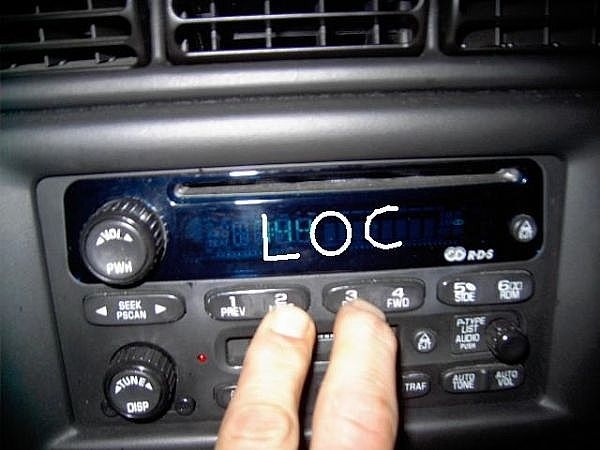 INOP means a secondary theft lock due to too many false attempts to unlock the radio. Looking at the face of your GM Delco radio, hold down the preset buttons 1 & 4 OR 2 & 3 (Depending on year and model) for approximately 10 seconds or until a set of 2 or 3 numbers comes up on the display. Write the numbers down. Next press the AM / FM button. A new set of 3 numbers will now show. Write these numbers down. You will then need to call a 1-800 phone number with these numbers to get the unlock code. There are many sites on the internet that can get it for you- for a small fee. Or, try calling your local GM Dealer and ask for them to do it. Many times they will do it for free. It only takes a minute. Once you have the unlock code, enter it by pressing the MIN button until the display shows the last 2 digits of the unlock code, then press the HR button until the first 2 numbers or shown. Then press the AM / FM button to enter the code. 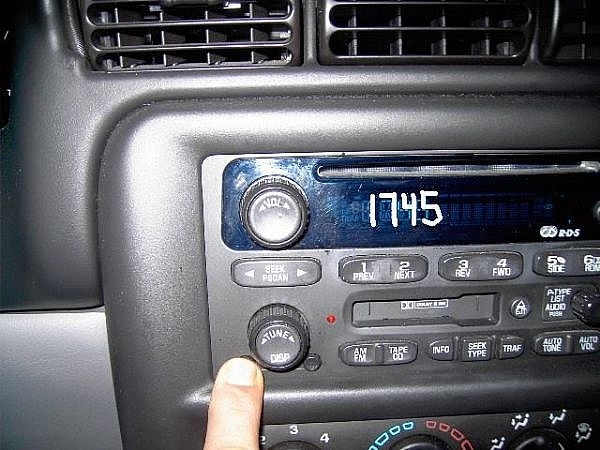 The radio will now display SEC, and normal function is restored.